Manchester City manager Roberto Mancini has backed the Football Association's decision to retain Fabio Capello as coach of the national team. Capello's future in the role was in doubt following England's woeful World Cup campaign which saw the Three Lions beaten 4-1 by Germany in the first knockout round in South Africa. But the FA have since announced the former AC Milan and Real Madrid boss will stay on, a move endorsed by his fellow Italian Mancini. "In my opinion England have the best national coach possible. 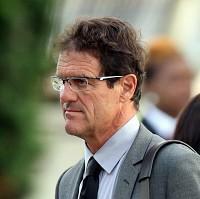 He (Capello) is creating the basis for a solid team. The problem is not that, but another one," he said, referring to the busy Barclays Premier League campaign. "In England you play too much."